Hope and kindness lie in every child’s gaze. The illusions and the always unruly curiosity inhabit the eyes of every small being… Let those noble inhabitants who live in their interior not get lost, but let those magical tenants always be in their heart accompanying them until maturity. One question that has always been asked by psychologists, psychiatrists, sociologists, and philosophers is if children are born with a natural goodness. And it is society, nurture, and context that sometimes transform this original virtue into selfishness, lack of empathy, disregard for others or aggressive behavior. When your baby came into the world, something that certainly caught your attention quickly was their gaze. Later, when those eyes began to look at you voluntarily giving you even more than a smile, you discovered that few things can be more intense and more wonderful. 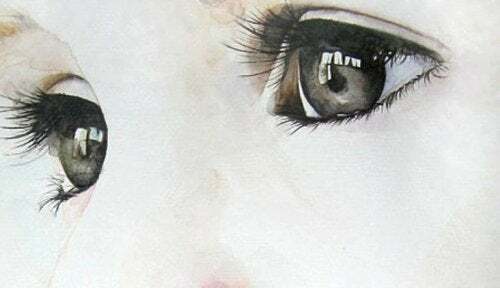 It is interesting to know that the eyes, beyond being the window of our heart and emotions, are also the way we usually make contact with others. Thus, the child who does not seek the face of their parents even though they have reached 2, 3, 4 years and the adult who dodges the eyes of his companion, usually present some type of underlying problem that needs to be identified. People talk with our eyes, we look for ourselves and we need this channel to feel validated, to communicate affection, interest, to give attention and above all, love. Kindness dwells in those precious windows of your child, so do not hesitate, discover how you can enhance in them the value of the nobility, the empathy and that consideration that a baby naturally has within. Before becoming aware of others and the emotions of others, a child must understand themselves. They need to understand what is right and what is not, where are the limits and why they sometimes feel anger, fear, frustration. Social consciousness is born in one’s own home, later extended to the world of school and little by little, opens up in other surroundings around the child. It is in these progressive contexts that our children must demonstrate and apply their kindness, respect, consideration for others, their empathy and their ability to understand all those aspects that create strong bonds between people. We will be their guides, we will be their best example and that enabler and daily enhancer that will allow the best of the child to shine! Social skills, such as good communication and assertiveness, will give the child the ability to establish and maintain healthy, respectful, and above all gratifying relationships. This is how they will learn, for example, how to defend themselves against bullies at schools, how they will serve as an example to others, how they will resolve conflicts and achieve strong and enriching friendships. Fostering goodness in our children is a daily task in which it is necessary to invest effort, which we can never neglect. Let your child’s precious gaze always preserve that brightness of hope and goodness.